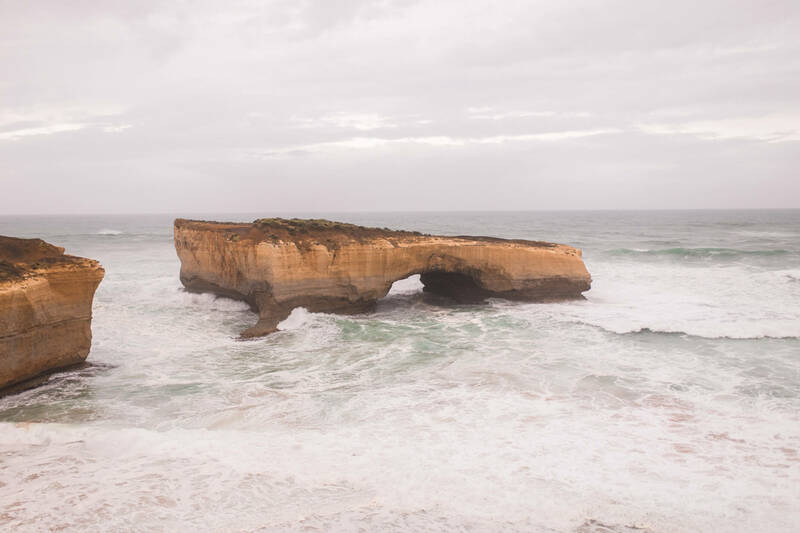 A Guide To Planning YOUR Great Ocean Road Trip! 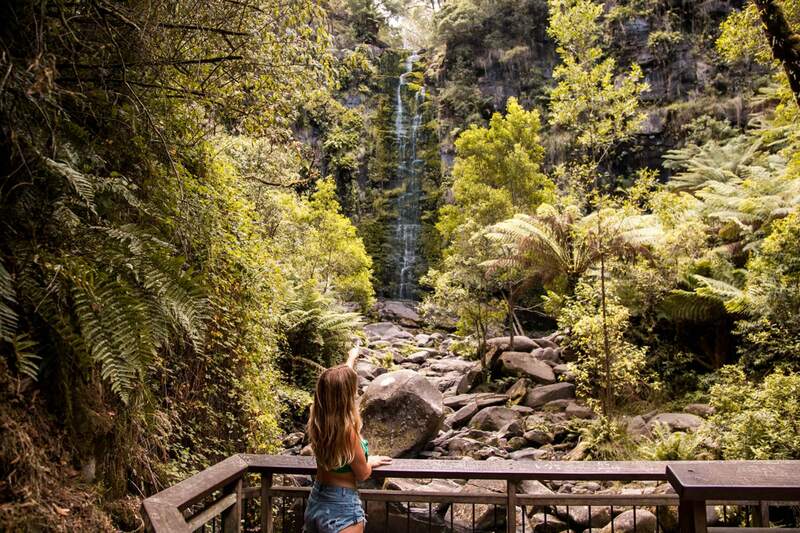 This week I finally got to tick a big adventure off of my Australian bucket list. 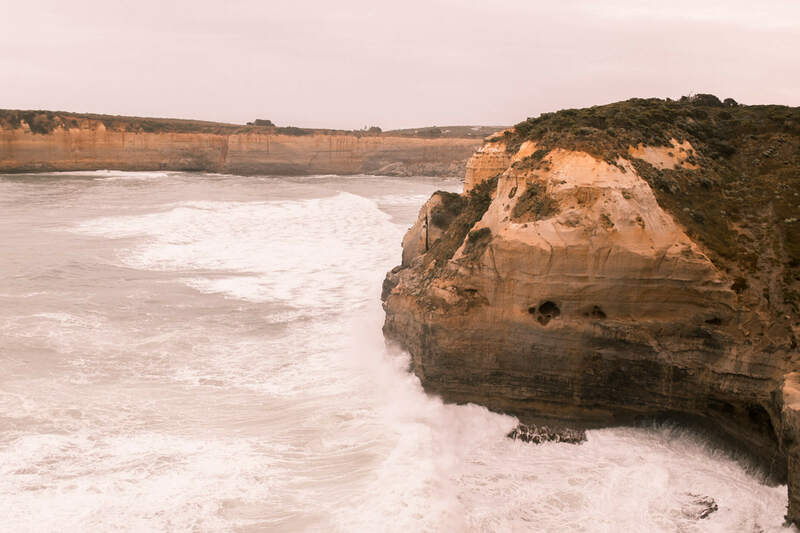 I have honestly wanted to explore the Great Ocean Road for such a long time and though it’s taken me until my fourth visit to Australia to get on the case – it was worth every second I waited. There’s not many things I love more than a good road trip because of all the freedom and unpredicted chaos that comes with it. Road trips always makes for an interesting adventure. Let’s just say if you decide to gypsy camp in the bushes of the national park – there is a chance you’ll come across some wild boars). I speak from experience. And so on Monday it was finally time to head out on one of Australia’s finest routes. 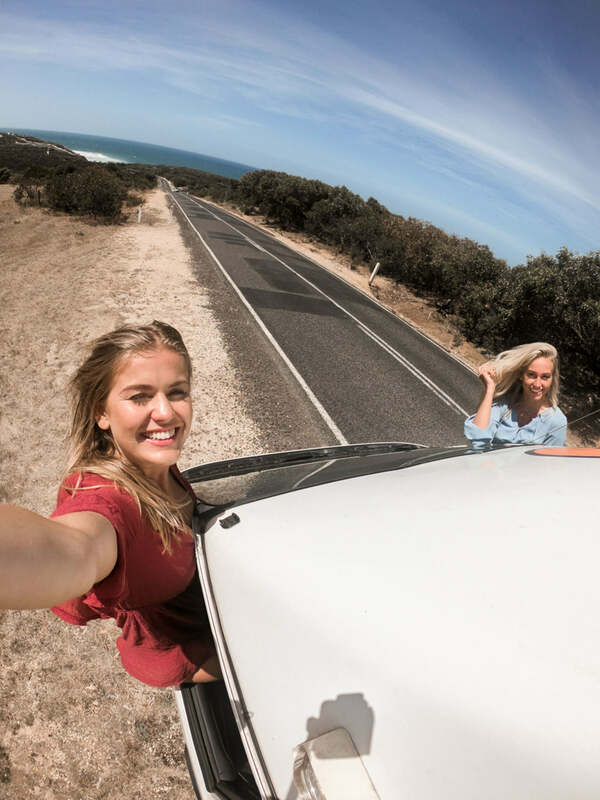 My best friend and I grabbed a camper and we set out on the 243km drive from Melbourne toward The Twelve Apostles. 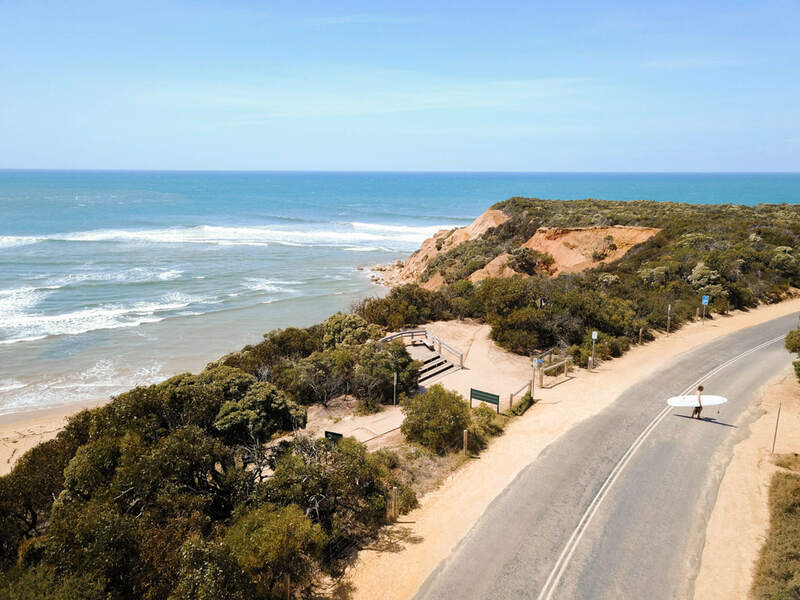 Note: If you drive the Great Ocean Road straight from Melbourne it will take about 4/4.5 hours (without stops) so technically you could do it in a pretty intense day trip if you wanted to. Though after cruising the route over 5 days there was still so much that would have easily occupied us for a longer adventure. Hire a Camper / Car! 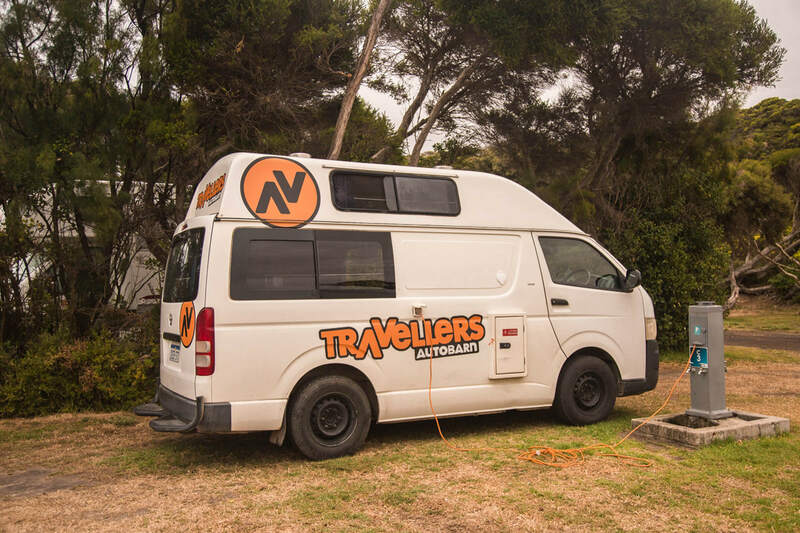 We hired a camper from the absolute legends at Ratpack Travel and got ourselves a 3 birth adventure mobile from Travellers Autobarn. It was pretty basic in design and had clocked nearly 600,000 miles but it got us safely from a to b to c to d and came equipped with a bed come dining table table, a fridge, microwave, double hob and extra storage. 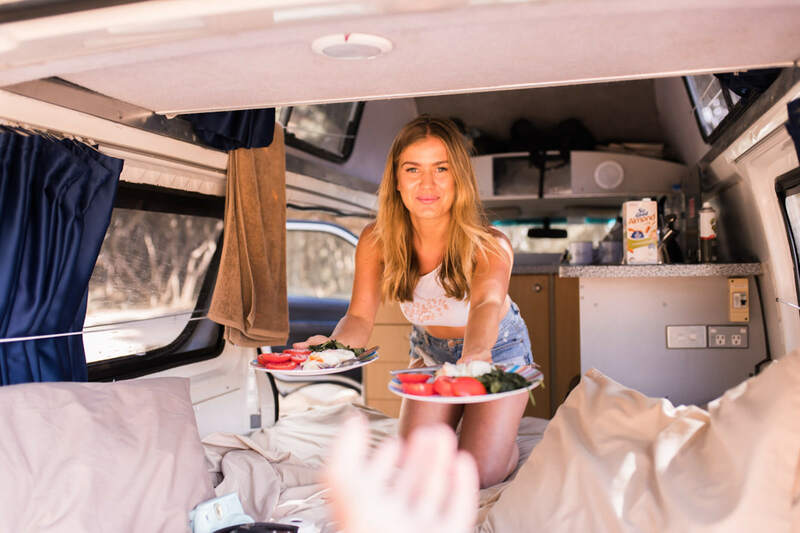 Of course you don’t have to go with a camper – you can also rent a car and stay in hotels / hostels along the way. 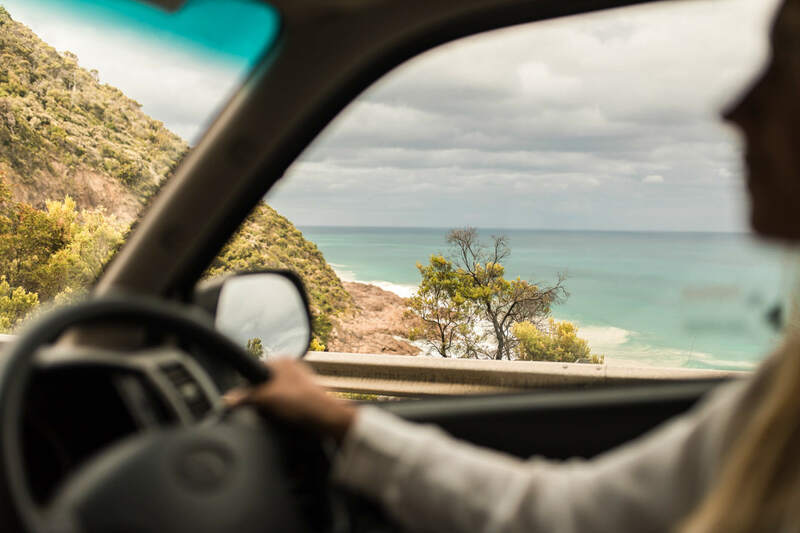 It totally depends what adventure level you’re ready for and whether you’re ready to embrace all that van life has to offer. 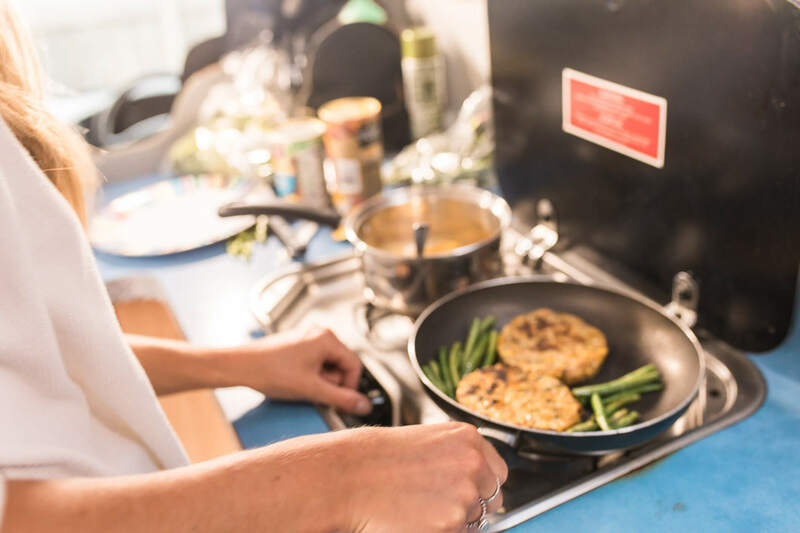 How much can you expect to pay for a camper van? For our 3 birth van for we paid the basic rate of $89 per day. 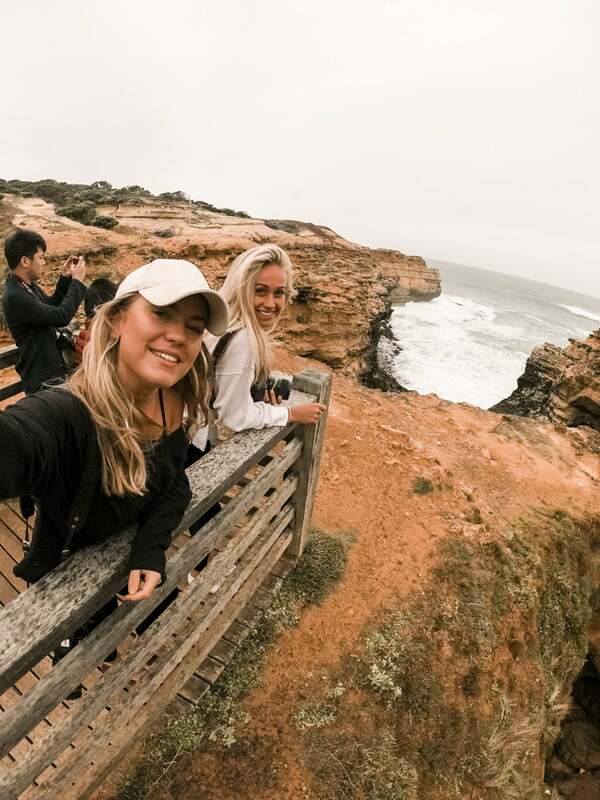 If you’re looking to get a quote and hire a car / camper yourself, I would definitely recommend dropping my friend Sammy from Ratpack Travel an email (info@ratpacktravel.com) to discuss your options. You can get a quote here. He will definitely get you a better price than anywhere else and you can get a further 10% off through me with ‘MOLLIE10’. What other expenses do you need to account for? (These were the other outgoings on our road trip). Torquay is pretty hot with people sleeping in their vans, we spoke to a few people that had gotten fines here so be careful. I’d suggest booking a site. Most campsites and holiday parks close their reception at around 7pm and most of them were gated so if you show up past 7pm you won’t be getting in! As you venture down the coast it gets easier to find off road spots to park up and ‘gypsy’ it for the night – if ya know what I mean. The national parks for example! 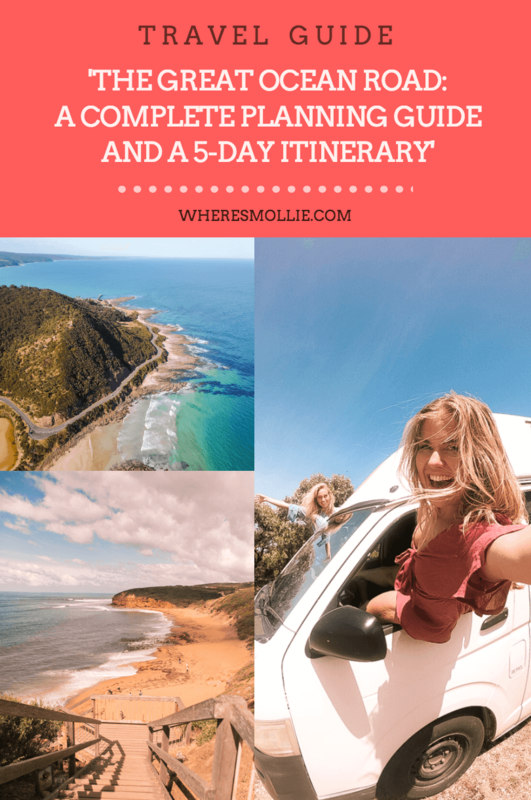 In this itinerary i’m going to note both the places we went on the Great Ocean Road but also the places we heard about along the way. We didn’t have time to do it all but I’ll lay it all out on a plate for you and let you make your choices. Top tip: Download google maps and open this up on your phone to navigate on the road. 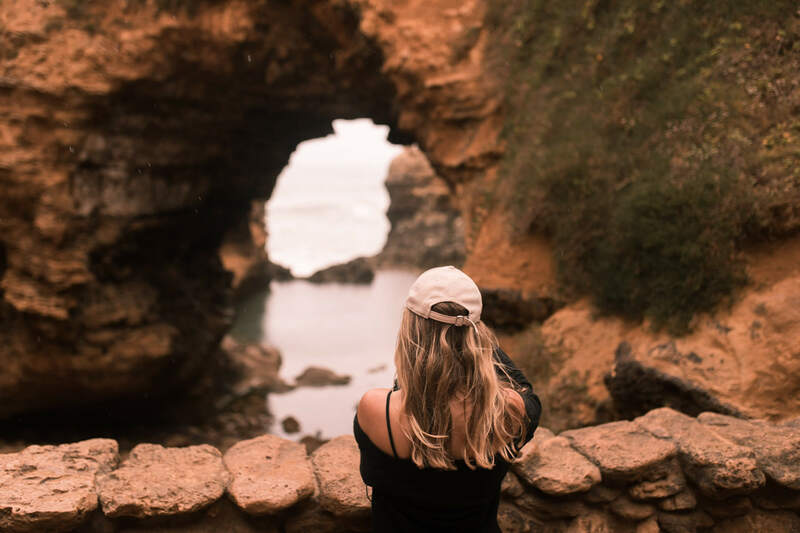 Assuming you’ll be staying in Melbourne or choosing this destination as the nearest to fly into, Day 1 will have you venturing to the pick up spot of your vehicle. 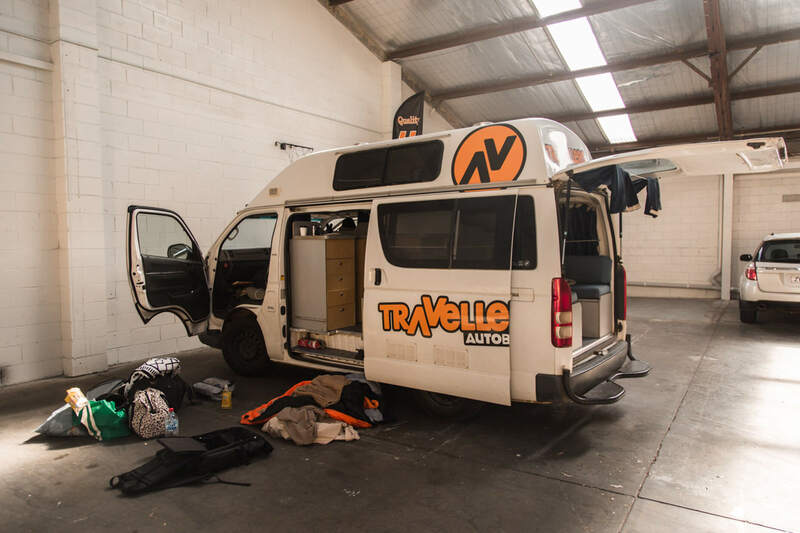 For us that was Travellers Autobarn located out in an industrial estate near Melbourne (Tullamarine) airport. If you’re picking up from here too, catch train to Flinders street and then take the tram (59) to Hawker Street. Travellers Autobarn is 10 minute walk from there. Top tip: Buy a sim card, it will not only able you to use Citymapper to navigate across the city but you’ll have access to maps for routes / research / campsite locations. It will be cheaper than paying the hire company the daily rate for a GPS device. 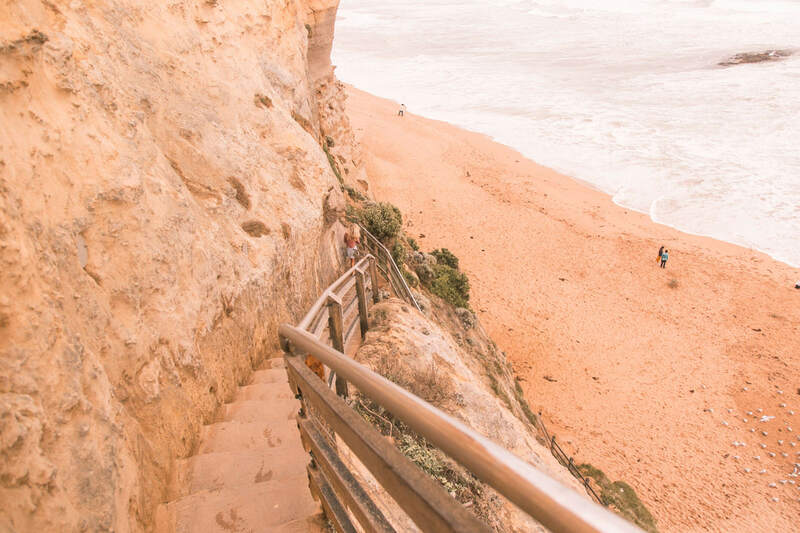 This was our first taste of beach life on the Great Ocean Road and it was beautiful. 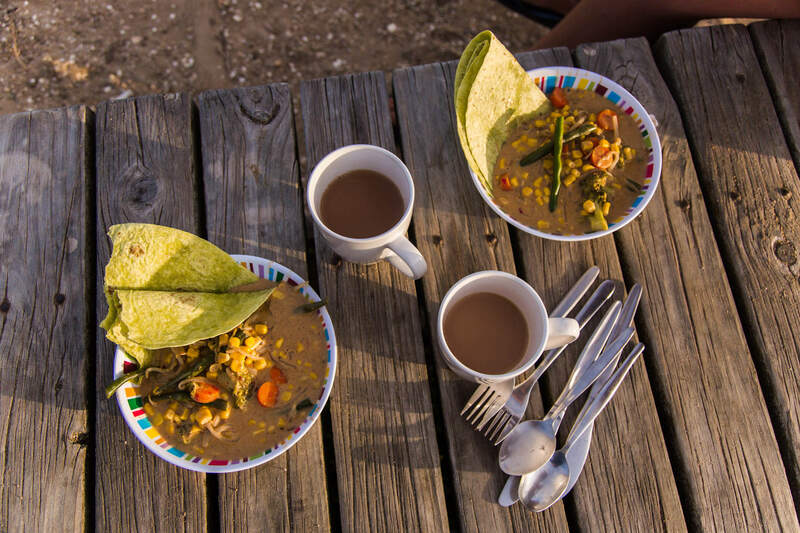 We cooked dinner out the back of the van by the beach as sun set and the surfers went in to catch their last wave. From here we hadn’t booked accommodation and had been told it’s a bit risk-ay to park up in the Torquay area. The council are hot on the fines. Add in the fact our van was extremely obvious it was a camper – we would have been silly to risk it. 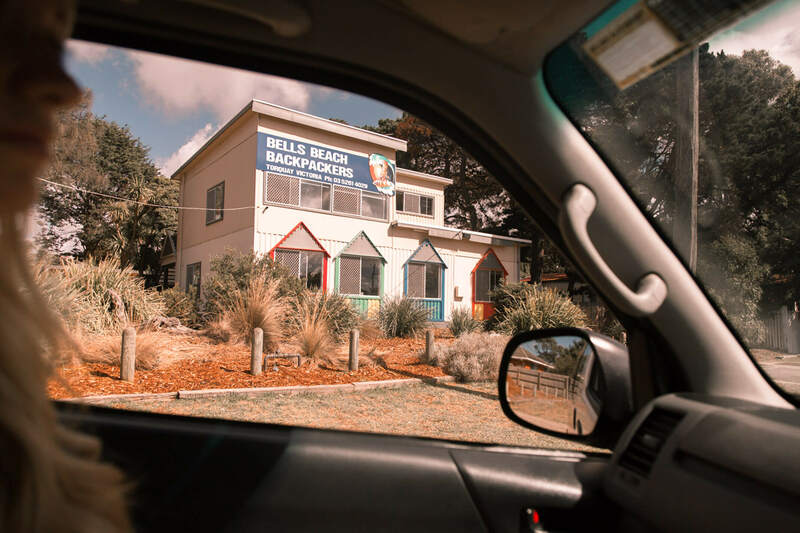 Campsites were closed by this point but we found Bells Beach Backpackers on the main road which is a hostel with space out the back for campers to park up. 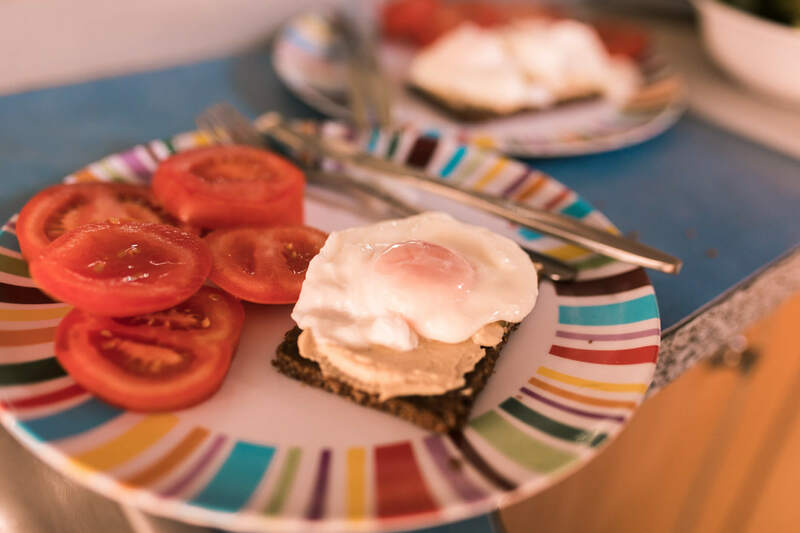 Operating on a cash only basis, we handed over $30 and secured our van in the back of the property with access to the hostel kitchen showers and bathrooms. Perfect! 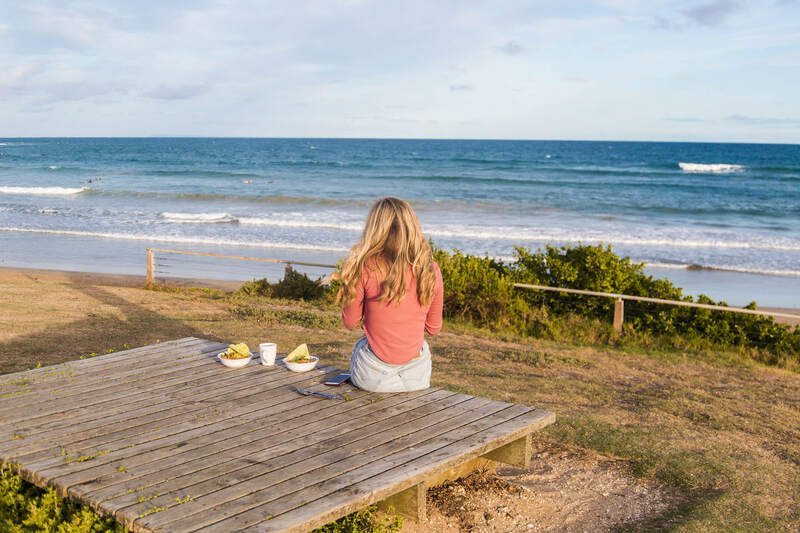 There’s a cute little coffee on Point Roadknight beach called ‘Point Roadknight Kiosk’ – you won’t miss it. It’s got gorgeous pink doors and wooden decor – super instagrammable and unreal coffee! 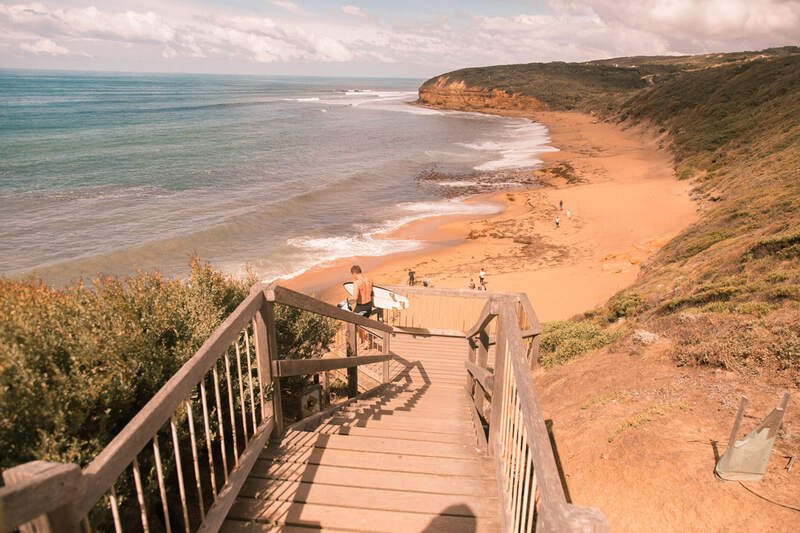 Otherwise, 10 minutes down in the direction of the Great Ocean Road, hop out at Laneway 73 and get your fix of amazing Ozzie coffee! 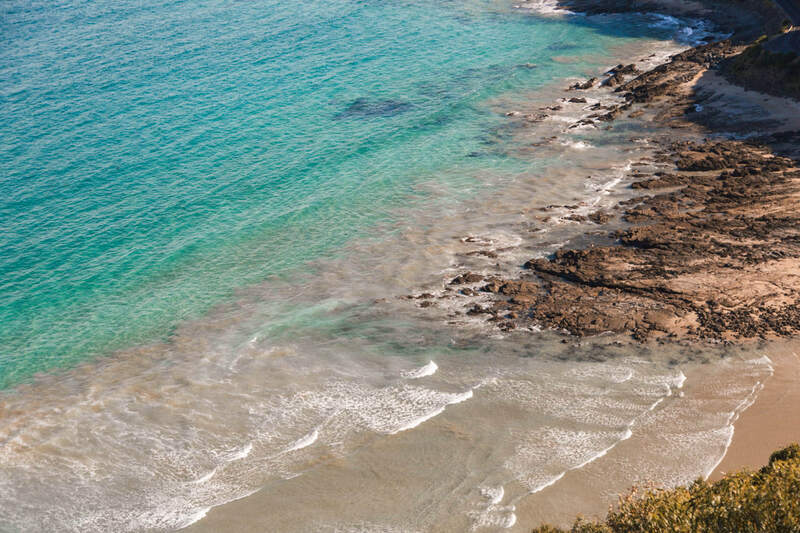 Next up it’s the infamous Memorial arch which is only 20 minutes (15.8km) down the road from Anglesea. It’s time to get that shot. 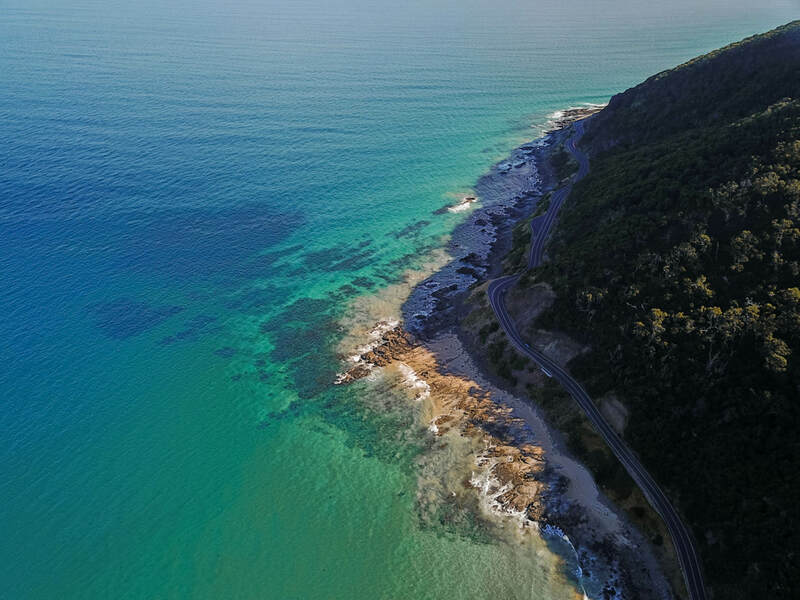 This next stretch (which you will have witnessed from a near birds eye view at Teddy’s lookout) was by far my favourite to drive on the Great Ocean Road with the road hugging tightly against the rugged coastline for miles and boasting insane views across the blues of the ocean. The weather (as you can see) was insane which definitely added to the wow factor, but regardless i’m always blown away when roads allow you to drive this close to the ocean. 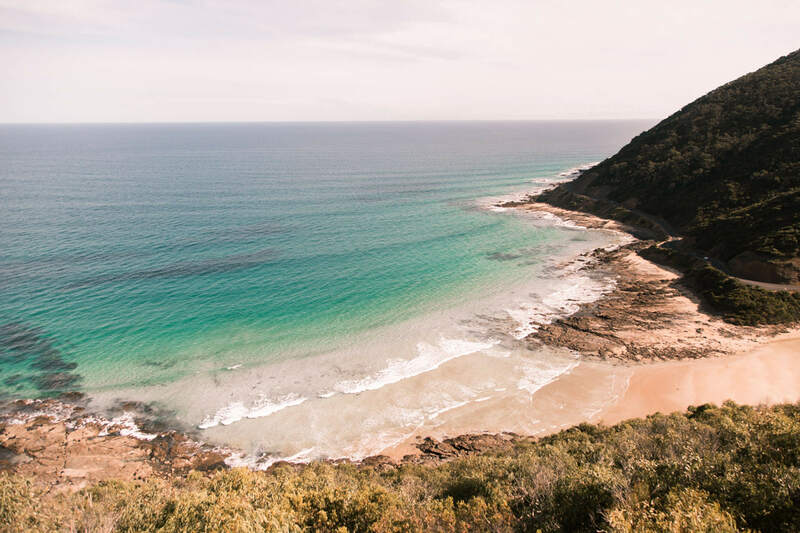 We continued to drive on through Lorne where we picked up groceries, cooked up dinner in Apollo bay and decided to gypsy a parking spot to sleep for the night in a layby within Otway National Park. Top tip: Check your types and fill up at the petrol station in Apollo Bay, we wasted 40 minutes driving back and forth before realising it was the most convenient. 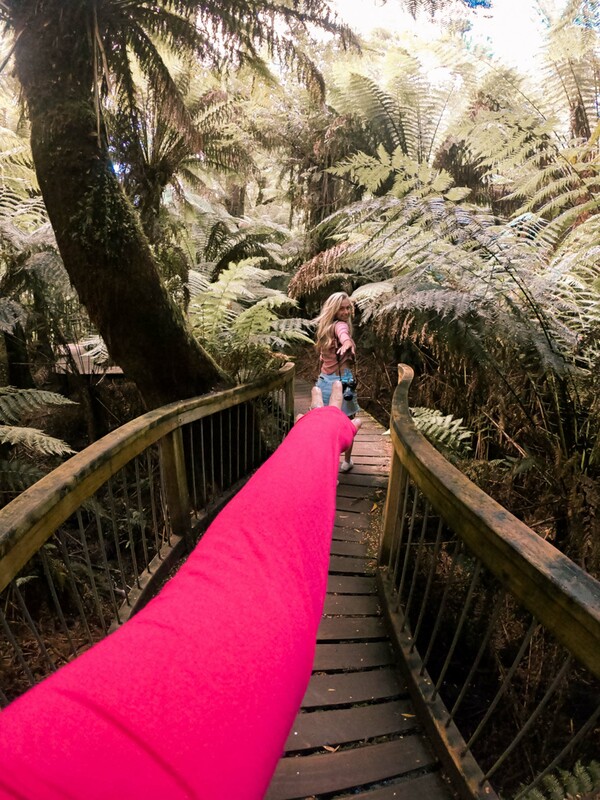 Try and make it into Great Otway National Park for sunset and drive down to the lighthouse. The Lightstation is gated and shuts by 5pm but the road down there is beautiful. There’s some pretty striking landscapes to witness. After waking in the rainforest we dipped back 15minutes into Apollo Bay to Use shower and kitchen facilities at Skenes Creek caravan park. At $4 per person it’s a great shout after a night in a camper. Alternatively if you’re camping / looking for a spot to park up it’s a great ocean front location. We were then due a coffee and checked into Waves in Apollo bay great for a soy flat white a and a dose of internet. Top tip: Waves is a perfect internet spot with plugs on the beach front to get some work done! They also serve yummy crepes! 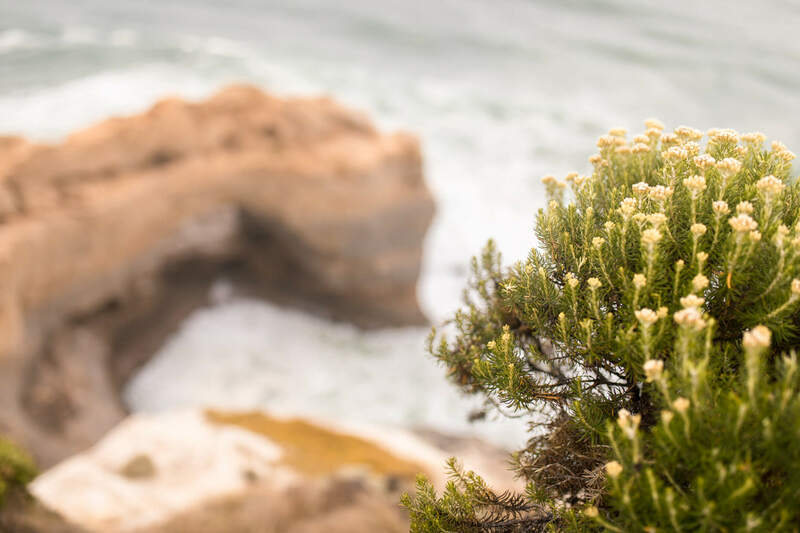 Todays start location is the perfect base for a few adventures in the National Park – all of which are in close proximity to eachother. Top tip: Having that sim card with internet also comes in handy as you can check the weather on the go and adjust your itinerary accordingly. 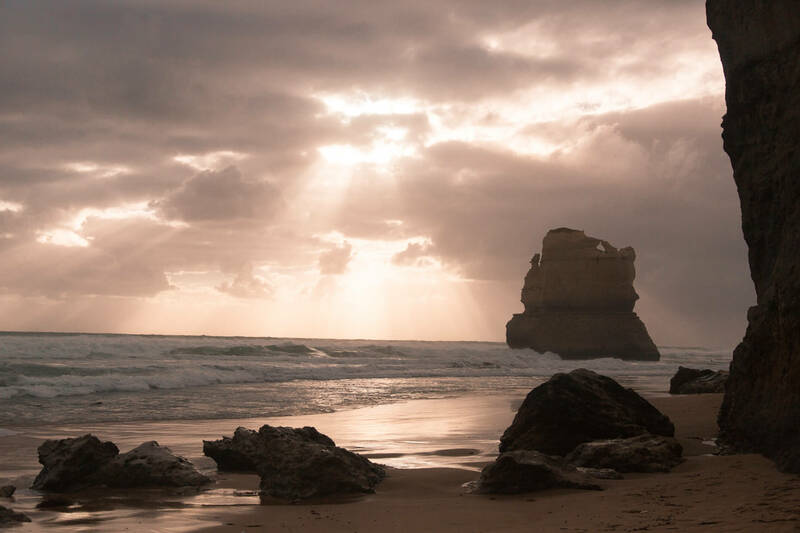 We noticed that the days following were due to be a wash out and so we decided to head north a little earlier than planned to catch Gibson’s steps at sunset as this may be the only good light to catch the Apostles in. Even though the light was still poor (from a photographers POV anyway), it ended up being the only one of the Apostles we witnessed. Next we headed to a teeny tiny town on the coast with a few coffee shops, a small supermarket, a couple of restaurants and a couple of holiday parks. 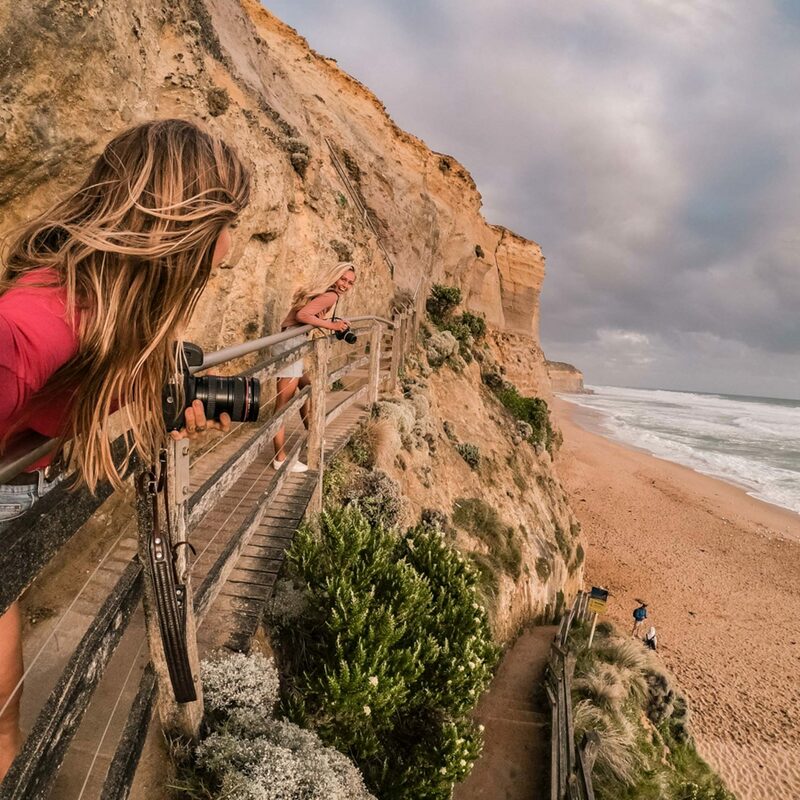 A real tourist town, thriving off the great ocean road tourism – Port Campbell. 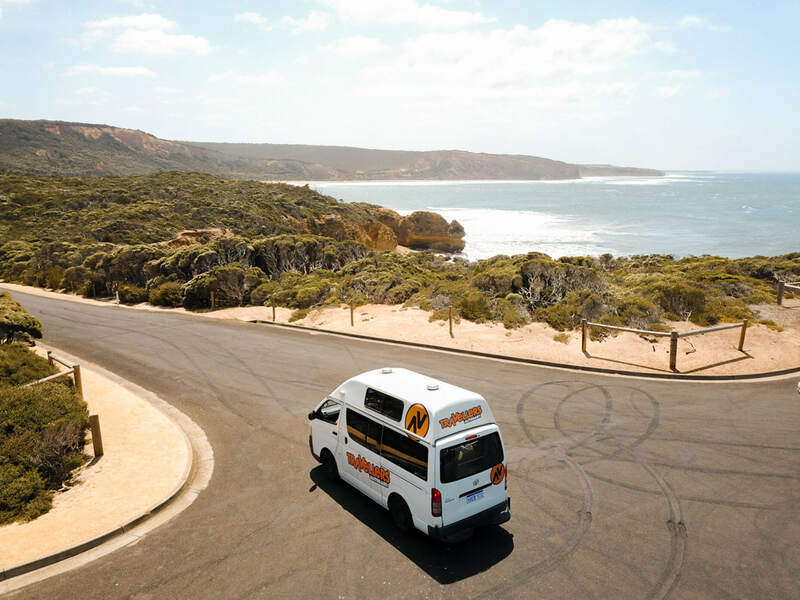 We spent the evening in Port Campbell where we paid $39 ($20 each) for a powered site. This was the only night we plugged the van in and allowed us to use the microwave and charge up all of our cameras! 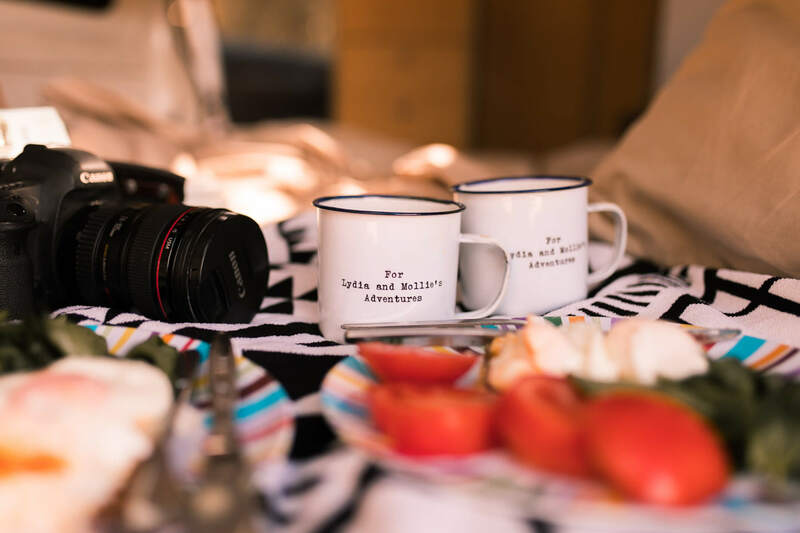 On day 4 we woke up, grabbed a takeaway coffee in town (nothing worth writing home about but still, great) and continued straight onto the mornings adventures. 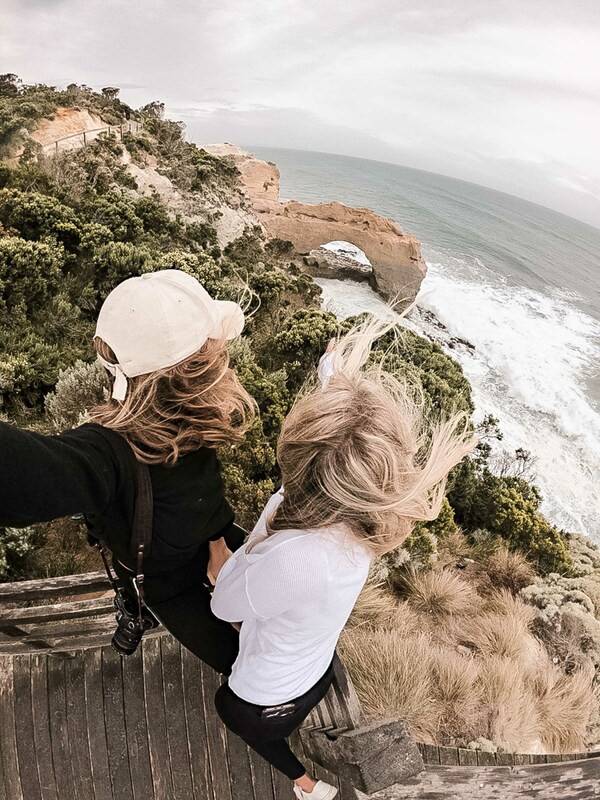 We were then super unfortunate with the timing of the Twelve Apostles lookout on our itinerary. The heavens opened and the visibility dropped. We hung around in the car park for about 40 minutes before making an executive decision to drive on. So if any of you guys go… show me your epic pictures!!! 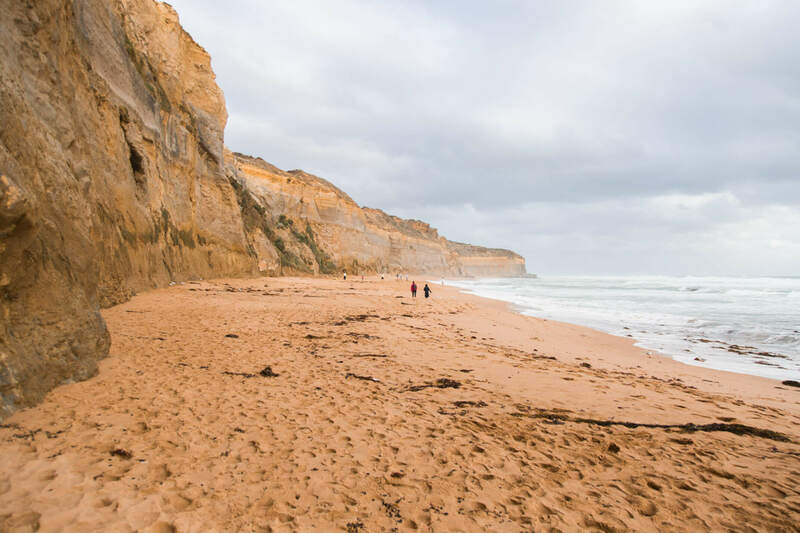 There is no actual official end to the Great Ocean Road but the Twelve Apostles is considered the big finale. 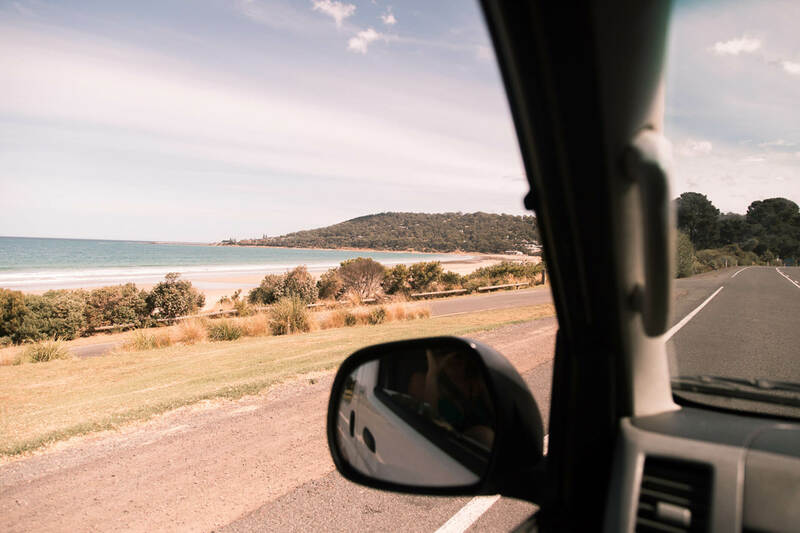 If we had have had another day we would have driven up to Port Fairy and also adventured inland to check out the cheese factories and wineries! Anyway, we decided to use the bad weather day to make the majority of our way back to Melbourne. That way we could relax with the driving and enjoy the sunshine due the next day. 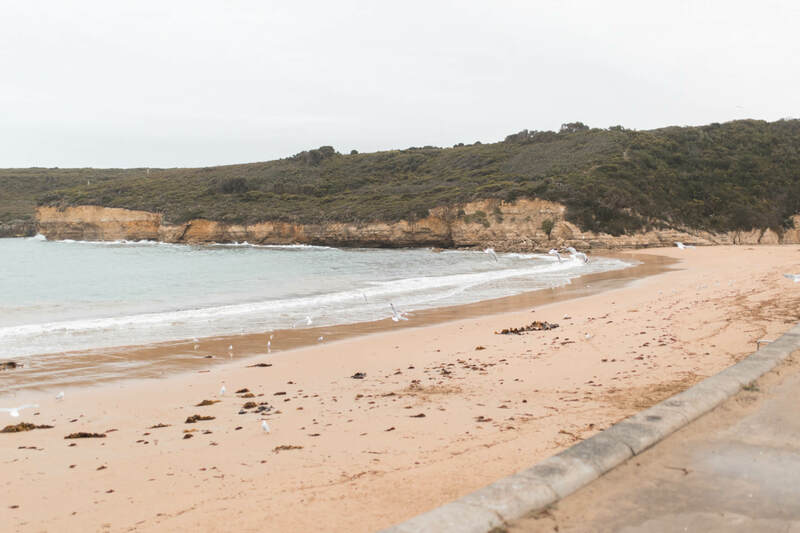 We started the last day of our roadtrip with a coffee from our favourite cafe Laneway 73 before cooking up some eggs and rye in the gorgeous Point Roadknight beach car park. 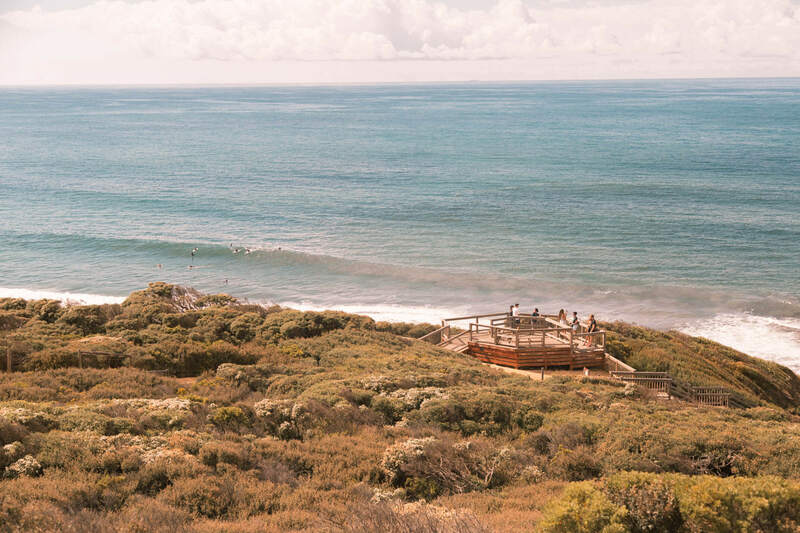 It’s a really gorgeous spot and it only had a couple of other locals occupying it – it felt super special. We soaked up the sunshine and shared our english tea obsession with some local surfers that had come to check out the waves. One of those moments you couldn’t write or buy. Cameras at the ready for these ones! And that was it! 5 days of simplicity wrapped up with a gorgeous bow on the end! I hope my itinerary has assisted you in mapping out your adventure! 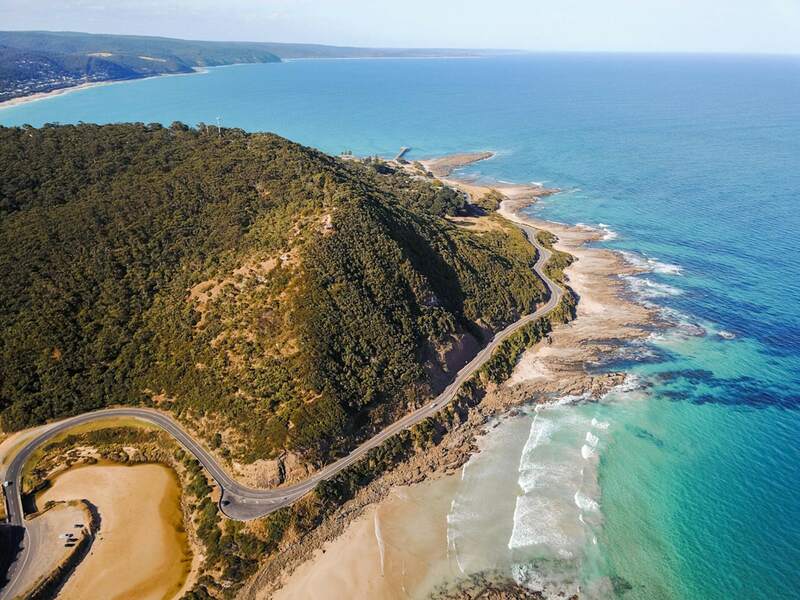 Have you done the great ocean road? Any hotspots I should add in that people cannot miss when they embark on this once in a lifetime adventure?